At The Legacy at Highwoods Preserve, our approach to assisted living begins with how much we value each individual resident. Our carefully selected and highly trained staff provides personalized, concierge-stylecare including assistance with such daily living activities as bathing, dressing, and managing medications. 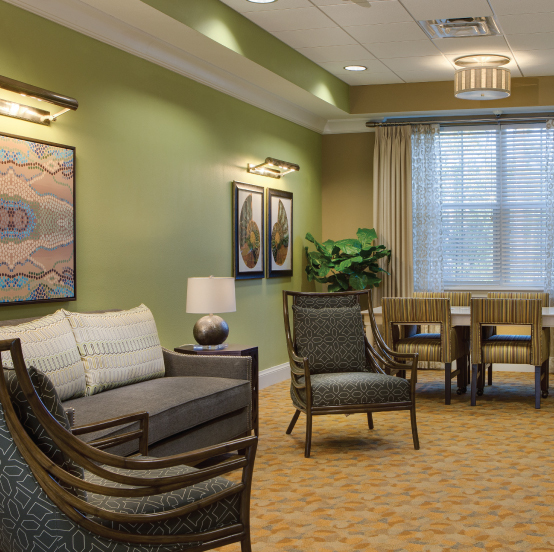 In-room monitoring and other state-of-the-art technologies to help ensure the safety and well-being of our residents and support our innovative assisted living services.